After seeing The Last Jedi, I agree that there is a lot to digest. So much so that I felt it prudent to split this post up into multiple parts, because otherwise this would end up a million years long. 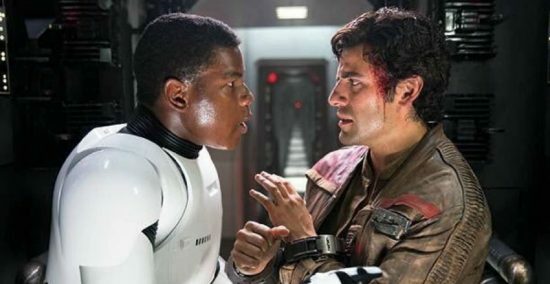 This first part will be focusing on Poe Dameron and Finn’s contributions to the series thus far. I’ll be talking about the events of The Last Jedi in depth in case you couldn’t guess that. If there was a massive strength of The Last Jedi, it was its character development. All of the characters go through some major development, none more so than Poe Dameron, a character who hardly featured in the first part. He stands centre stage as the best and most developed character in The Last Jedi, at least that’s how I feel. While his arc is a simple one, what makes it work so well for me is how it plays out in a very subversive way for the franchise. As the movie opens, Poe is a brash, hotshot pilot who ignores direct orders and has an “ends justify the means” mentality. In the traditional, swashbuckling style of story that Star Wars is born from, he would be praised for his individuality and singular efforts, despite the heavy losses it cost the Resistance. However, in this movie he is admonished by Leia for it and demoted. The “breaking the rule” types are always bucking against authority though, so initially this seems like standard fare for the character archetype. Not long after this, Poe finds himself thrown out of his comfort zone. Leia is unconscious and the Resistance are in dire straits, left under the leadership of a new that character Poe, and thus the audience, knows nothing about. Shortly after her introduction, we are lead to believe Laura Dern’s character is just content to lead the Resistance to their doom, only because she won’t share her plan with Poe. As events play out, through her actions, she turns out to be the singular most heroic character in the movie. Making the ultimate act of self sacrifice without flinching and creating one of the best visual moments in the movie. It’s an interesting change of pace for the genre and the franchise. Poe is the swaggering, swashbuckling hero throughout, and yet is wrong the entire time until he stops and finally has that moment of character growth. It’s when this happens that Leia graciously passes the torch of leadership onto Poe for the future of theResistance and the franchise. Poe’s inability to follow the chain of command almost brings down the entire Resistance. For large parts of the movie we only see events through Poe’s perspective, and in the traditional pulpy style of story of which Star Wars is based, he would have been justified and his disreguard for authrotity would have saved everyone. The Last Jedi is a movie that isn’t afraid to make its hero look the fool, much to the ire of the vocal fan base. Poe felt like somthing of a background character in The Force Awakens, a cool pilot who doesn’t do much other than fill the swaggering hero role that Han Solo can’t be present for. This second movie fleshed Poe’s character out, making him feel like an invaluable character in the franchise going forward, because it humanised him. It allowed him to make mistakes and gave him the opportunity to better himself from them. Failure is the theme of The Last Jedi, and why we shouldn’t shy away from it. Something that we surprisingly don’t see from these kinds of blockbuster movies. It’s a very mature approach to the franchise. I’ve read a hell of a lot of negative backlash about how “the purple haired woman” was at fault for not sharing her plan with Poe. These are the people, I feel, that don’t ever really want to see Star Wars change or grow. They want the cocky hero to continue to succeed despite everyone around him. But that’s not how storytelling works. Holdo’s character has no reason to share her plan with Poe in the movie. When she comes into the leadership he immediately undermines her authority, despite the fact he is freshly demoted himself. Plus, with so much at stake and the potential for a mole in their midst, there is no reasonable expectation for her to share her plan with Poe. Much to the ire of the traditionalist out there. But that’s the reason it works so well, the director subverts our expectations by allowing us to believe Poe’s plan will lead to him the saving the Resistance, when in actuality his actions almost causes Holdo’s plan to fail and ultimately forces her to sacrifice herself to keep the Resistance alive. It’s this subversion of the trope and the bait and switch that makes me enjoy Poe’s journey through this movie all the more. Hell, Even the wisest character in all of fiction shows up and tells us to learn from our failures, just in case you couldn’t catch that. Finn’s growth in The Last Jedi is similar, but not as effective. In a movie that I felt could have stood to lose a few minutes from its run time, Finn’s side story on Cantonica felt like it could have been left out for later use. Finn’s arc here feels very similar to his from The Force Awakens. He starts out both movies making selfish and cowardly acts, running away from danger. Only to find somthing to fight for along the way. His acts of heroism in The Force Awakens feel motivated by his attraction to/love for Rey, with him making a sacrifical act in facing Kylo Ren for her sake. He goes through almost the same arc in The Last Jedi, although I do feel it was done better here. He wants to run from the First Order but ends up getting roped back into events again due to his unique knowledge of them. During the movie he learns how wide spreading the First Order’s influence actually is and how running away would never have been a true solution. Finn goes through a journey of discovery and where his own priorities lie and by the end reaches a point where he is willing to sacrifice his life to hinder the First Order and give the Resistance time to escape. Finn’s story is somthing of a confusing one for me on what purpose it serves. While is works to flesh out the Star Wars world somewhat, showing us something rather the main characters and villains. It also establishes just how the First Order affects the little people who initially seem to have no connection to the war. But then goes and introduces a character whose job seems to be to insinuate that the ‘bad guys’ profiting from the war are doing it by selling weapons to both sides. I can only assume that this is laying groundwork for future plot lines regarding Finn’s character. Because in this movie it seems a touch out of place when everything else feels so deliberate. I like Finn as a character but feel like he could have almost been cut from this movie for the most part. Hell, it would have made a pretty cool spin-off movie. 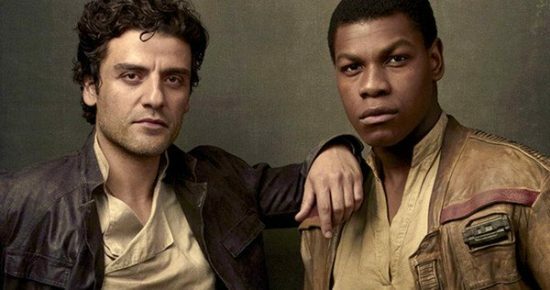 In the end, both Poe and Finn’s contributions are important to this new Star Wars franchise. It’s because they break away from the thought that the main characters have to be a continuation of the characters from the original trilogy. That there needs to be a continuation of the bloodline, which ironically is a very imperial way of thinking about things. 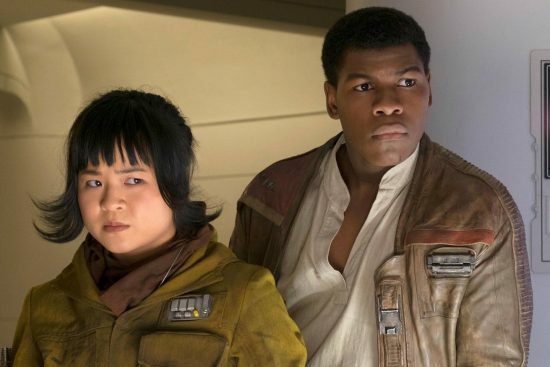 At this point, none of the hero characters in the new Star Wars series have a blood connection to the characters from the originals, distancing themselves from a bloodline driven series that fans initially seemed to want. Instead, the only bloodline character is a part of the Imperial style order that serves as the current antagonists of the franchise. The resistance, conversly is filled with a rag tag bunch of nobodies, as it should be. Whatever is going on elsewhere in the story with Rey, Ren & Luke; Poe and Finn are just people. They’re not chosen ones, or strong in the force. They’re just people fighting for what they belive is right, harkening back to the original Star Wars in which, despite his many flaws, Han Solo couldn’t leave his new friends to die at the battle of the first Death Star over Yavin IV. While I was a little cool on Finn’s contributions to the movie, Poe’s development here is the first real mark of intent by Disney that they’re going to start bucking trends and expectations with the Star Wars franchise’s main line movies. Poe’s swashbucking actions would have caused him to save the day in this type of movie in the past, instead the Last Jedi shows us that he makes wrong desicion after wrong descision in this movie until his moment of character growth at the film’s end. Even leia shoots him and calls him an idiot to prove that his actions were wrong. It’s one of the reasons I really appreciate The Last Jedi as a movie, as well as an entry in this long running franchise. I was worried that the new trilogy would be a lot of retreading old ground, especially with how many parallels line up between The Force Awakens and A New Hope. But The Last Jedi felt far more ambitious and it makes me excited to see where Disney will go with Episode IX. Posted on January 12, 2018 January 9, 2018 by WooderonPosted in Movies, My Thoughts on:Tagged amilyn holdo, episode viii, finn, john boyega, laura dern, oscar isaac, poe dameron, Star Wars, the last jedi.